Looking for fun on the run? Then the Pocket Disc is perfect for you. 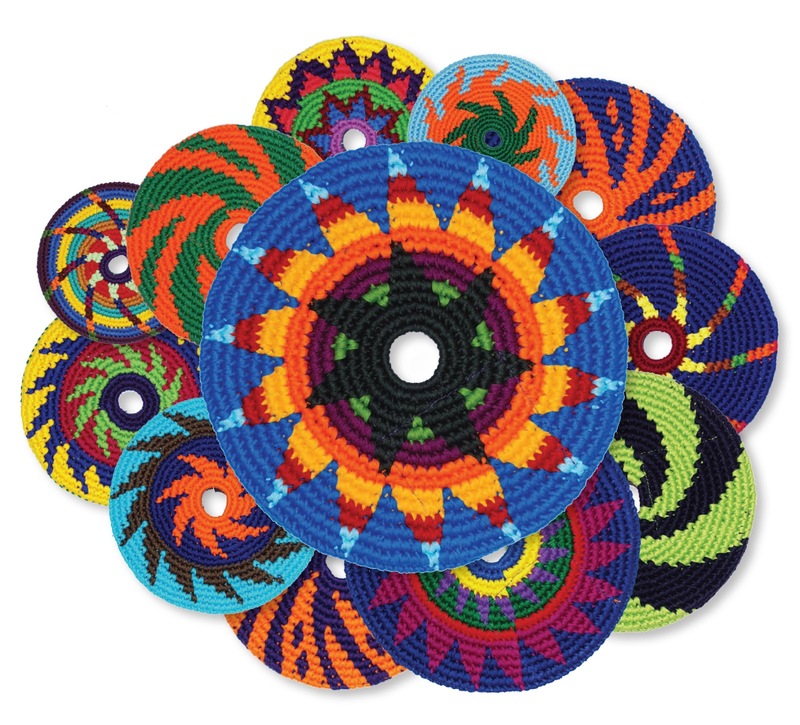 This great disc is woven from 100% cotton and folds up small to fit in a backpack, pocket, or any small place. This great flyer pops open for instant fun anywhere you want to throw. Because it is soft, this is great for a game of catch in crowded places or indoors. Pocket Discs are very durable, making them great for dogs and cats. Creates instant fun in the swimming pool! The Indoor Pocket Disc is perfect for fun inside, while the Sport Edition has more weight for outdoor distance and is color-fast. Indoor Pocket Discs have a diameter of 7.25 in and weight approximately 1.6 oz, while the Sport Edition has a diameter of 8 inches and an approximate weight of 2.6 oz. This fun and innovative product is manufactured in Guatemala by participants in the Free Trade Federation, which strives to create sustainable trade practices. Beast: Floats better than "very small rocks"
I was happy to get to try this Pocket Disc. 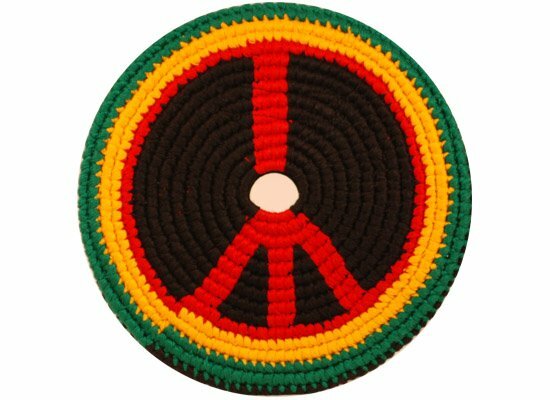 I love the Rasta peace sign design on it and it is 100% cotton. Each stitch is very well crafted. I love that it is made by participants in the Free Trade Federation. I like that the disc is soft so my little girls can play and we can bring it to the park, even when it is crowded and not worry about hitting anyone. I like that it is portable and I can toss it in my backpack and keep it in there for whenever we want to play. Everyone who has seen it, has said they like it and asked to play. It is fun and I recommend it as a gift or a gift to yourself!